Setting Up A Margarita Bar. I’m having a little bit of trouble coming to grips with the fact that summer is coming to a close this week, I’m not quite ready for the warm weather, and beach days, and patio cocktails (and mocktails!) to end. This weekend I had a girl’s night with some my girlfriends and we enjoyed the fading summer with some al fresco dining and porch swinging and all around warm-weather merriment. 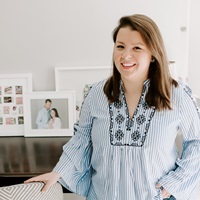 In preparation for our hang out I set up a make-your-own style margarita bar with all of the essentials, and thought I’d share a few of my tips for setting up a margarita bar of your own. Once you have the tools, the garnishes, and ingredients in place, it’s super fun to let your guests mix up their own cocktail creations. The Tools. 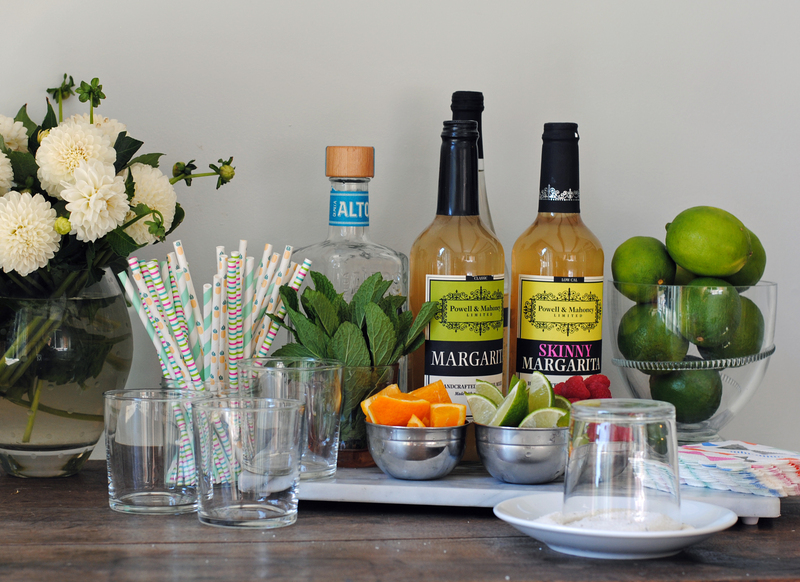 Your margarita bar set-up has to start with the basic tools to get your party started, and make it easy and fun for guests to mix up their own drinks. I actually always pass up on a traditional margarita glass because I think they’re a bit bulky and only serve one purpose in my glassware stash. Instead of a margarita glass, like to use a versatile medium-sized glass tumbler (these work as wine glasses, cocktail glasses, water glasses – seriously my favorite item on my bar). The bar tool basics are also important to have on hand: a cocktail shaker, a jigger for measuring, and since we’re talking citrus-based cocktails you should have a hand-juicer on the bar too. Margaritas also often call for a rimmer, so lay out a few small dishes (a teacup saucer works great) with sea salt or sugar. There’s also never an occasion when your bar doesn’t need fun straws and napkins – so make sure you have some festive options! The Garnishes. 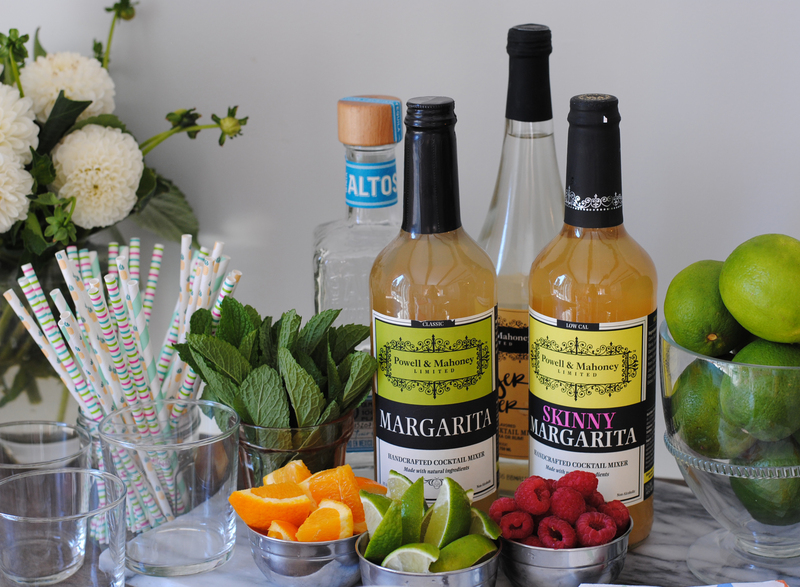 There are a few categories of garnishes that I always call on for a good margarita bar. The first, and must-have on this list, is a big bowl of limes to add a little fresh punch to your margarita. 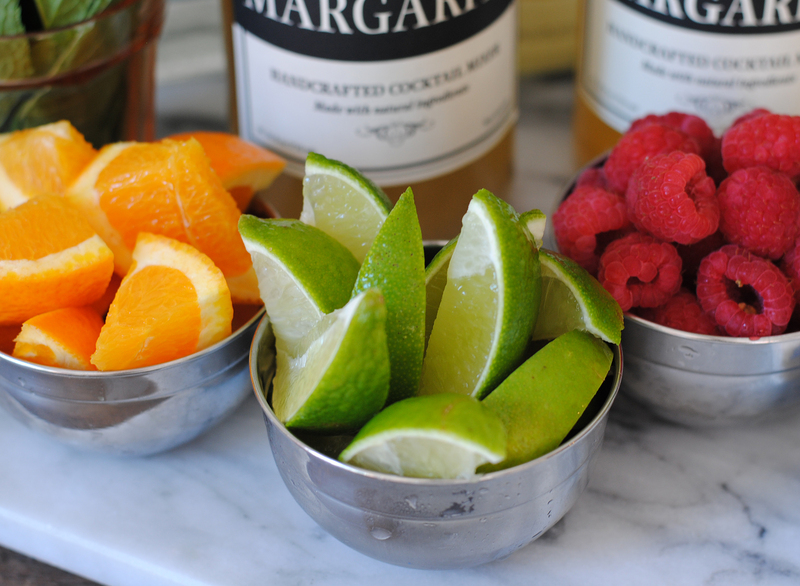 You can include other citrus options too — orange slices or grapefruit wedges make a fun addition to a classic margarita. The second category of garnishes I rely on are non-citrus fruits. 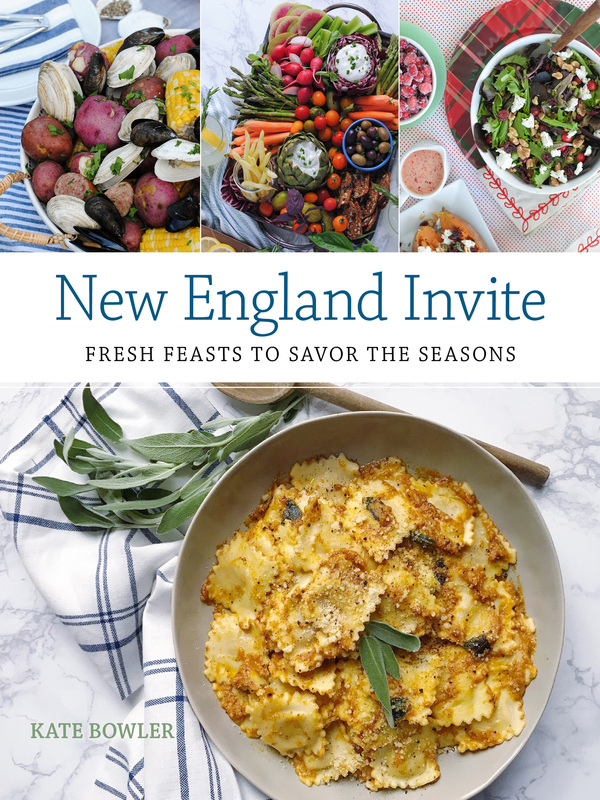 Consider adding sliced peaches,pomegranate seeds or some fresh berries to your set up. The last category of garnishes is where I add in my “wild card” ingredients. Herbs like fresh mint, rosemary, or even basil can add some crispness to the margarita flavor. Another option is to swing your flavor palette in a spicier direction and serve jalapeño slices as an addition to your margarita. Pre-chop or slice all of the garnishes so they’re ready for your guests to toss in their drink and display them in a cohesive set of mini prep bowls. The Ingredients. With all of the tools and garnishes in place, you can focus on the main event! Set out some mixer options for your guests. 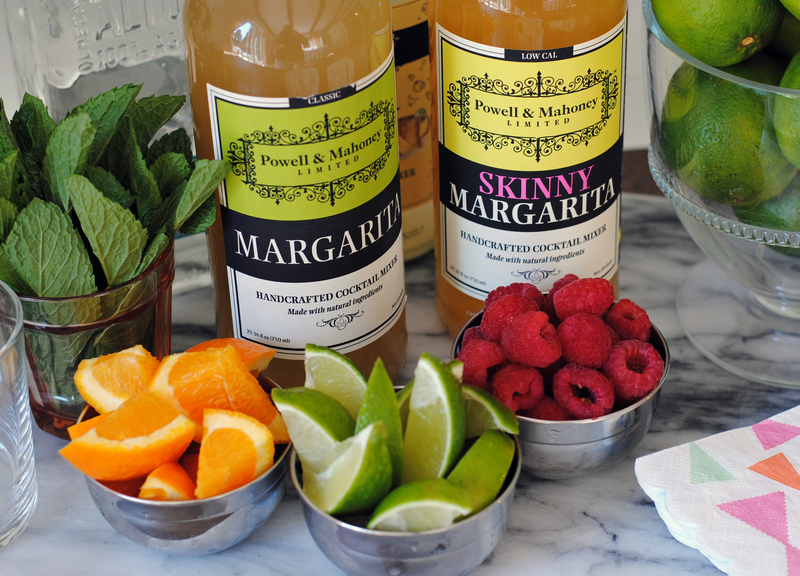 Start with a classic margarita base, consider a low-calorie “skinny” mixer option for the health-conscious guests, and add in one more fun mixer with a fruity or spicy flavor. Then pair the mixers with your choice of tequila (I tend to gravitate towards a smooth white tequila, but everyone has different preferences). Since I’ve also been on the mocktail-train lately, I also set out some soda water and ginger beer as non-alcoholic options to mix in for a tasty mock-arita cocktail. 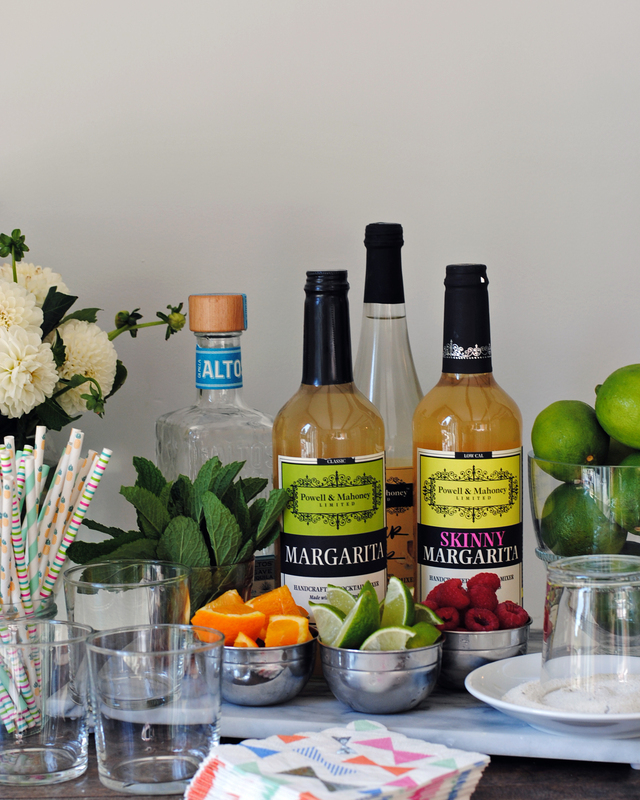 Finish your margarita bar off with a bucket of ice, and maybe a chalkboard or small signage with suggestions for mixer and garnish pairings to get your guests’ creative juices flowing! Cheers! Please Note: This post was created in partnership with Powell & Mahoney. All opinions, content, and images are my own.